We're past the middle of the year and I want to provide everyone in our community with an update on progress and upcoming plans. We outlined a series of initiatives in January and have made significant progress on those. I'm also going to share what we're planning for the next two quarters. 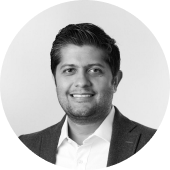 Our roadmap is driven by insights derived from feedback that we receive from the community across various channels. This April, we hosted our very first TIDE NYC conference in our offices to bring together our community, our partners, and our product teams to learn from one another. Our talks included lessons from scaling to millions of users, infrastructure automation, and some of the trends in cloud native computing. (I encourage you to watch all of TIDE NYC’s talks on our YouTube page.) We also used this time to get direct feedback on our 2018 roadmap, which further refined the initiatives we have planned for the remainder of the year. In January we introduced new Droplet plans that significantly increased resources while keeping pricing the same. Standard Droplets are a good balance of CPU, memory, and SSD. Each Standard Droplet now has twice the RAM and larger local SSD storage, and several plans have additional vCPUs. We recently also introduced the 192GB RAM 32 vCPUs Standard Droplet to the lineup for $960/mo. CPU Optimized Droplets are designed for applications requiring more powerful CPU resources like video transcoding, CI/CD, and batch processing. Each CPU Optimized Droplet plan now has more RAM and SSD, and we also introduced a new 1 vCPU Optimized Droplet with 25 GB of local SSD for $20/mo. To learn more about differences between Standard and CPU Optimized Plans, please see the Community article, Choosing the Right Droplet for Your Application. Since announcing these plans, we have added the ability to pool your bandwidth across all Droplets in your account, making it less likely that you will incur overage charges. We’ve also lowered the overage rate for bandwidth to $0.01/GB in all regions. 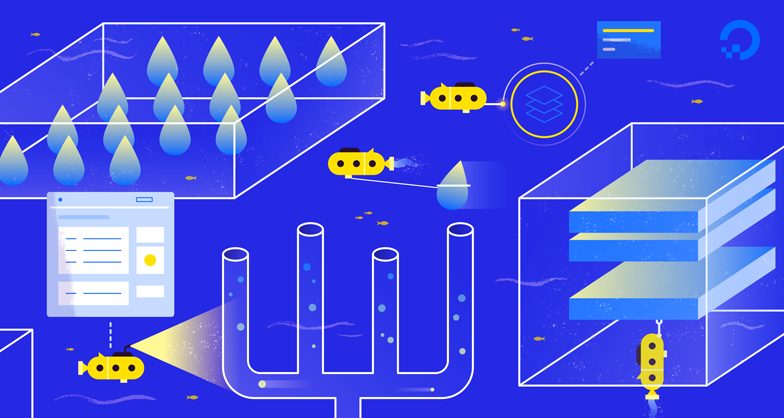 Over 1 million Droplets are active on the DigitalOcean platform today, and we will continue to introduce new sizes and types later this year and beyond as we continue to address new use cases and application types being designed by our customers. Several upgrades were released earlier this year to improve block and object storage. Block Storage received a significant performance update and now provides 50% lower cluster latency, as well as the ability to burst IOPS and bandwidth rates. In addition, we added a time-saving feature with the ability to automatically format your Block Storage Volumes. We also expanded regional coverage, with Block Storage now available in Amsterdam. In January, Spaces object storage launched in Singapore, joining availability in New York and Amsterdam. Since we launched Spaces in September of 2017, adoption has grown rapidly and we’re now storing billions of objects. Spaces now supports version 4 of pre-signed URLs, scheduled deletion of objects, and the UI has been upgraded to provide previews of stored images, audio, and videos. We did experience growing pains in the early days of Spaces and have identified and fixed these early issues, which you can read about here. We’re committed to and focused on improving our Spaces offering to help as your cloud storage needs scale. We rolled out a significant update to Load Balancers, making it easier to deliver HTTPS with free-of-charge automatically renewed Let’s Encrypt integration, and added support for HTTP/2 as an option in the Control Panel. Popular browsers are beginning to notify users when they visit sites that are not HTTPS-enabled with a "Not secure" label. It is now even more important to support HTTPS on your websites. You can read more about some of the options to support HTTPS in this blog post. In July, we enabled Private Networking as the first of four phases to give customers Virtual Private Cloud (VPC) capabilities. Later this year we will add improved visualization and management capabilities for your private networks into the Control Panel. Combining Private Networking isolation with Cloud Firewalls, Let's Encrypt SSL Certificates for Load Balancers, SSH keys, and 2FA provides the security you need to build scalable, robust, and secure production environments. Making DigitalOcean both simple and powerful to use is one of our highest priorities, and we have rolled out three significant releases focused on your developer experience. The first was the introduction of the Control Panel Dashboard, making it faster to access common resources and account information, as well as changes to the navigation with quick links to API and community documentation. Our second major release was on July 25, when we rolled out Projects, a new way to control and organize your infrastructure on DigitalOcean. These changes are designed to save you time, and make it easier to access the most important information as your infrastructure grows. We also introduced our new DigitalOcean Product Documentation center, which contains Overviews and Quickstart guides on everything DigitalOcean has to offer, as well as How-Tos and Resource links to dive in deeper. In addition to the improvements above, we have updated all of our services for the General Data Protection Regulation (GDPR). We announced DigitalOcean Kubernetes to simplify container orchestration. Over 20,000 developers have signed up for early access with plans to run many different kinds of application workloads on their Kubernetes cluster, from web applications to message queues and batch processes. We are currently working with early access users, who are evaluating for various workloads and providing feedback to help us build the right product. We will continue to expand the number of users in the coming weeks, and we expect in Q4 to move to limited availability. We are excited to share that we will be introducing support for Custom Images in Q3. This has been a top request in our community, and we are thrilled to bring it to life with the ease and simplicity you have come to associate with our platform. The ability to add custom images allows you to easily migrate your workloads to the cloud without needing to spend time and effort trying to recreate your environment. One of the most common uses for Spaces object storage is the hosting and delivery of web assets. We are adding content delivery capabilities directly into the Spaces product to make web asset delivery faster and more scalable. With this new capability, your Spaces content will be delivered from global edge locations near your end users. We are also expanding Spaces to SFO2 in September and adding FRA1 and LON1 in 2019. We want to accelerate your development of applications by removing the complexity of installing and configuring common application building blocks and dependencies, such as development stacks, solutions, and services. One-click application launcher is an easy way to get going today, and we plan on releasing improvements to the experience with better discoverability and more partner solutions towards the end of the year. We are working on a new service that will make it easy to host your databases on DigitalOcean as a managed service (DBaaS). We will start addressing this need for our customers with support for one database engine later in the year. We’ll share additional details on this service as plans develop in Q4. We have been busy building products and features to help you build and scale your applications on DigitalOcean. This is only a sampling of all the features and improvements we are bringing to you in 2018. We hope they are lining up with the kinds of services you need, and we really want to hear from you on any ideas for what you’d like to see next! Please share your thoughts with us in the comments below.